Amazon is “spending a lot of money” on original content without “gaining much traction”, according to rival streaming video leader Netflix’s programming chief. 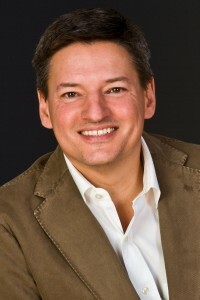 Speaking to analysts at UBS’s 44th Annual Global Media and Communications Conference, Ted Sarandos cited data from data traffic management specialist Sandvine and others back up his view that Amazon’s original content was having limited impact relative to the sums being spent on it. Sarandos said that Amazon’s content investment may be have the effect of boosting sales of Amazon Prime subscriptions, but that he wasn’t in a position to assess the impact. “As of now, it looks like they are spending a lot of money,” he said. Sarandos said that Netflix had “not reached the point of diminishing returns” on its own heavy investment in content, with subscribers numbers and hours watched growing in line with content spend. He said that Netflix’s content spend was “efficient” because percentage increases in hours viewed more or less matched the increase in expenditure on originals. Netflix’s content strategy has attracted criticism from some analysts, with claims that its spend is out of control. The company recently said it would spend US$6 billion (€5.6 billion) on content in 2017, having spent US$5 billion in 2016, and Sarandos confirmed those numbers at the UBS event. Earlier in the Q&A session, Sarandos said fragmentation in the streaming business was a reality, with multiple providers creating original exclusive content creating “a lot of clutter” that Netflix had to rise above. Sarandos said that Netflix plans to double its original series output in 2017, with plans “to grow out to 1,000 hours”. Forthcoming releases in the early part of the year include Netflix Studios production Lemony Snicket and a Series of Unfortunate Events starring Neil Patrick Harris in January. Other new series penciled in for next year include comedy show Santa Clarita Diet with Drew Barrymore and Timothy Olyphant and serial killers crime drama Mindhunter. The streaming video provider will also roll out unscripted shows for the first time, including Sylvester Stallone’s competition show Ultimate Beastmaster, which will be versioned for six countries including Korea and Mexico. Sarandos said that unscripted content was “a very interesting business” for Netflix, which would focus on creating shows that are “likely to travel internationally”. He said that Netflix’s movie content accounted for about a third of viewing, but that he took a different view of the importance of a movie titles catalogue than HBO. He said that audiences that are “passionate about watching” a particular movie would take steps to see it before the window in which it is available either to HBO or Netflix. The move content on the platform is therefore intended for “a more dispassionate audience” and is “not likely to differentiate you from everybody else”, he said. In terms of its own movie originals, he said that the company would focus on popular mass-market content like its Adam Sandler films and forthcoming Will Smith-starring cop thriller Bright. Deflecting a question about whether Netflix could exist as part of a larger company, Sarandos said that the streaming outfit was more focused on a single model than big media groups and was able to produce content exclusively for its own use as a distributor. He said there was none of the conflict between content creation and exploitation that existed in some major groups. Sarandos nevertheless also said he did not want to “get trapped in a model of only producing content that we own outright”, citing Gilmore Girls, which is licensed to the SVOD company by Warner Bros.